A broad spectrum product that kills 130 plus pests on contact with low odor, such as; spider mites, fleas, aphids, fire ants, chinch bugs & more. 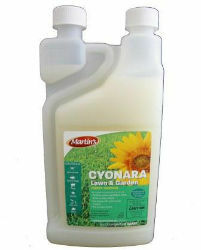 Protects lawns, vegetables, roses, flowers, trees & shrubs. Covers up to 16,000 Sq. Ft.